We’re fired up by the workers over at Google – the so-called “shadow workforce” of temporary and contracted employees just landed a major victory. Google now requires a $15 minimum wage and basic benefits like comprehensive health care coverage and 12 weeks of parental leave for ALL workers. 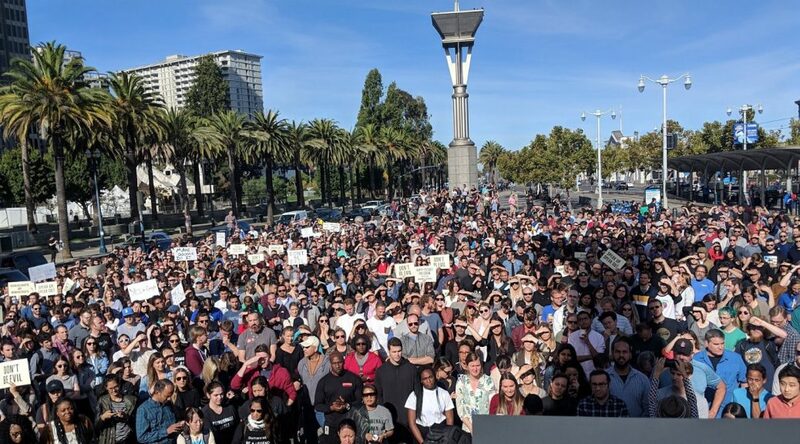 This comes after more than 900 full-time Google workers signed a letter supporting temporary workers, and after more than 20,000 Google workers took to the streets to demand an end to forced arbitration for sexual harassment complaints — channeling the same tactics we’ve used to win us raises for 26 million people nationwide. They challenged one of the biggest companies in the world through collective action — and WON. No longer can Google ignore and exploit their “temporary” workforce. When workers stand together, we show how strong we really are!